Two years ago, I travelled to the Gambia. A stranger there would think the first instruction everyone gets t is to be subservient to any person who comes their way. The people that side are not too opinionated as we are here. Maybe they are in their secret spaces, but they have chosen to keep their thoughts to themselves. For twenty-three years, Yahya Jammeh—the man who made sure every Gambian memorized his heavy and tedious name of Professor Doctor Alhajj Abdul Aziz Yahya Jemus Junkung Jammeh held the nation captive to thinking that only him was sculptured for leadership. A story is told about how Jammeh was everything in The Gambia and that he could decide, at his fancy to be the Central Bank, the exchange rate against decisive currencies. Jammeh, who easily claims his place among the monstrous leaders Africa has had, had and still has a shockingly huge following among some people out there in The Gambia. And it made me think a lot and deeply. Jammeh, for over two decades, tethered the Gambians to an arch of servitude deeply rooted in the underground of fear, inferiority complex and some naivety of praise for the big man. Two years after Jammeh was booted out, even the President, Adama Barrow, does not look like a man confident of himself. The people, too, are left hanging on the rafters of insecurity: They think the Big Man—for that is what they call Jammeh—will return one day and they do not want to be considered deviants. The Gambians are too regimental such that you can easily claim that every one of them who has learnt the first syllable has ever used the term “no problem” in their lives. With the colleagues I traveled with, we made fun of how such a nation blessed with beautiful women, who you would think are nature’s conspiracy, could be in perpetual trance and manacled to the chains of one man who claimed to have some magic powers to heal some incurable disease. Then, I realised that here at home we are worse than The Gambians in terms of thinking that one man has the whole nation in his hands and can easily throw all of us into the deep sea of nothingness. For fifty-four years, five presidents have been given a chance to look into our affairs and all of them have had their issues. We have had no saint. But what I think we have gotten wrong as a nation is that we have refused to, as Bob Marley rightly puts it in his song “Redemption Song” , emancipate ourselves from mental slavery. Until now, all of us still, like The Gambians, live in perpetual fear of mortals who actually are supposed to be afraid of us. Two years ago, in Zimbabwe, Robert Mugabe was reduced to a rat slithering in the corners of his residences because some people decided to take a bold step against decisions influenced by his power-hungry wife, Grace. Mugabe, then to Zimbabweans was a being who dined with the gods and could not be touched. Jacob Zuma of South Africa, too, was unceremoniously booted out of power after South Africans had enough of his careless rule. The past week, Algerians and the Sudanese have spoken out. 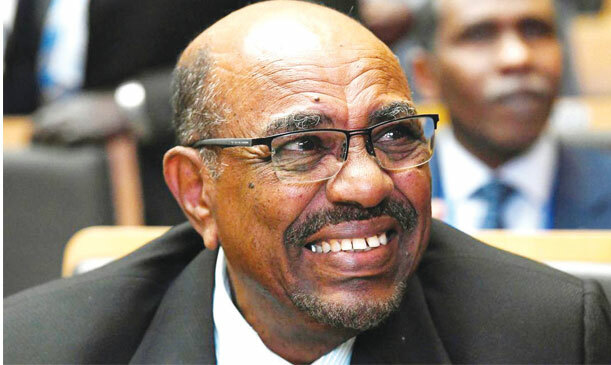 Sudan’s Omar a-Bashir has been deposed while Abdelaziz Bouteflika has been made to relinquish his post because the Algerians have had enough of him. Quite a revolution time and a moment of awakening. There is always a time when people stand up and decide their destiny. Sadly, the truth is that you and I live in fear of things that are not even decisive to the final step of our destiny. Sadly because we have people who we have elevated to the status of gods and deciders of our fate, we just cannot gather the courage to tell them that we have had enough of their oppression and we need change by all means. I know all this comes from our cowardice which these “gods” happily and tactfully inject in us so that we should look at them with poisoned veneration and pronounced deference. As a nation, I wish all of us could one day realise that we were all born equal and that we should not be in some mental prison because someone has been given a diplomatic mandate to make executive decisions for us as a country. Let me not be too evasive here. What I am saying here is that as a country we are in this pathetic state because our minds are programmed towards fearing a soul that we have voted in power and that we think we are servants of a clique: I refuse to be in shackles of fear.